Silo are now back in Europe, after collaborating with Fat Bird Theater in Shenzhen, China. 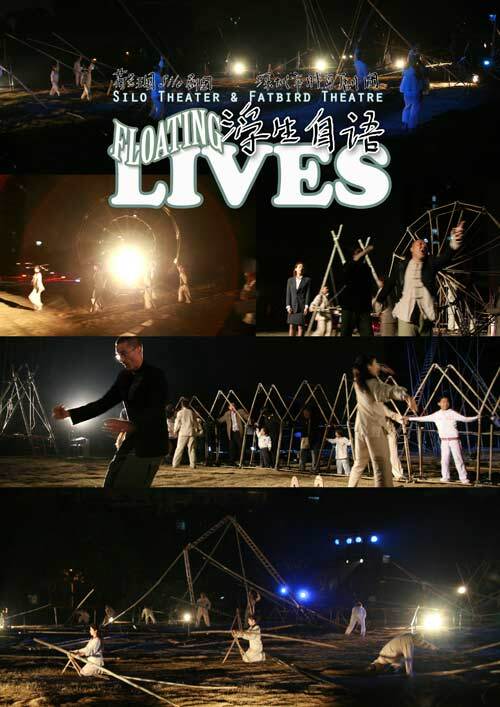 The show was called Floating Lives and was part of the Hong Kong/Shenzhen Architectural Biennale 2007. BLOG: the process was documented here. 3 short pieces were made especially for Robodock Festival 2007 at the NDSM, Amsterdam. 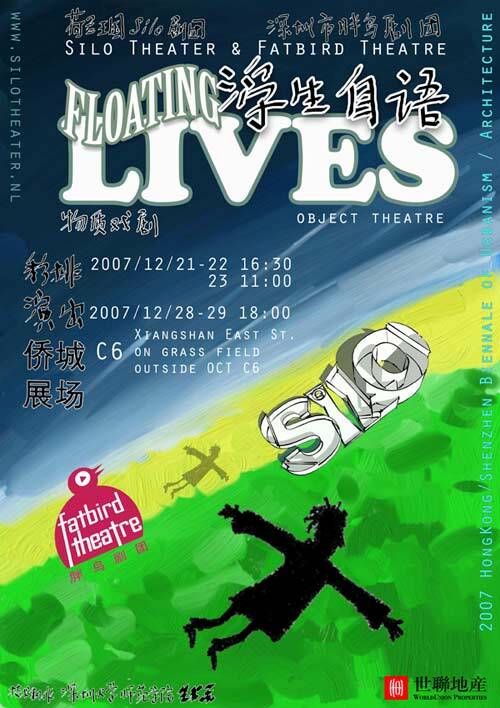 2002 Silo Theater created '60 Degrees' playing the premier at Oerol Festival, and continuing on to the Parade Festival in Den Haag and Amsterdam, Robodock Rotterdam and Macau Fringe Festival, China. In 2003 they developed the show further, touring through 5 countries. More info. PLANETarium SILO was made in 2000 and further improved upon in 2001. Going on to win prizes at the World Puppet Festival in Prague, CZ and PUF Festival, Croatia. More info. In 1999 Silo Theater concentrated on a site specific performance for Terchellings Oerol Festival. Taking in 3 square kilometers of forest, dunes and beach. Many installations were placed along a devised pathway, using the theme of illusion as a creative springboard. More info. 'De Toren' or 'Torentijd' ('The Tower' or 'Towertime') was created from donated materials (wooden poles and fabric) in 1997 and played at the Parade Festival in Amsterdam. The year after Silo successfully gained a grant to improve the structure and tour with it, re-naming it 'De Vertraging' (The Deceleration). More info. 'De Pannenkoekfabriek' (The Pancake Factory) was the title of the 1996 piece that played the Parade Festival - Amsterdam and Utrecht. A large pyramidical structure that blurred the lines between a ship, an insane asylum, and a factory whose purpose was to manufacture one solitary pancake. More info. In 1995 Silo Theater performed thier first show at The Parade Festival in Martin Luther King Park, Amsterdam. 'Een Kaar Onder de Utrechtse Brug' ('A Shaft Under The Bridge To Utrecht') was a continuous performance comprising of objects, movement, film, soundscapes and a rotating carousel from which the public viewed small installations ('kijkdozen') and live action. More info.